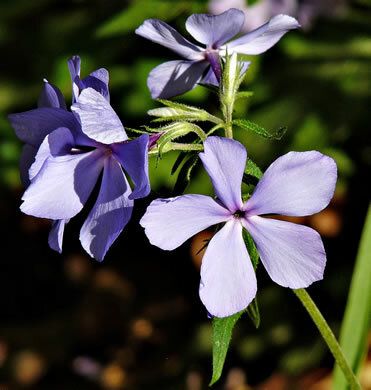 Stamens shorter than the corolla tube (thus included), per Weakley's Flora. 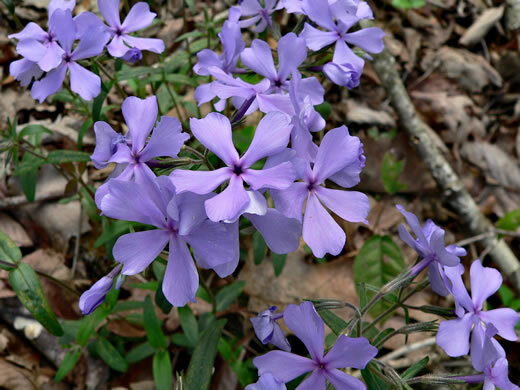 Fragrant clusters of lavender-blue flowers, per Gardening with the Native Plants of Tennessee. 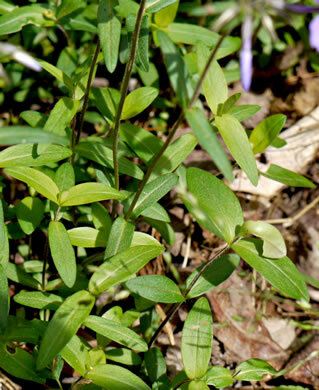 Leaves in widely spaced pairs, ovate-lanceolate to oblong, 1.2-2", per Wildflowers of Tennessee, the Ohio Valley, and the Southern Appalachians. 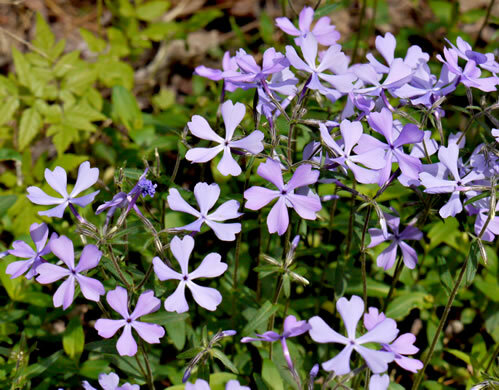 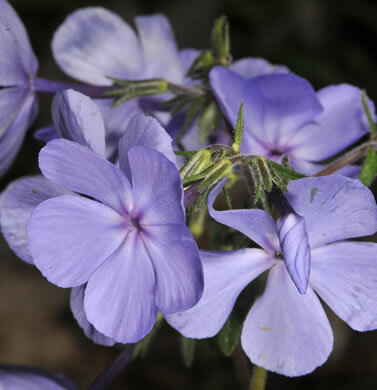 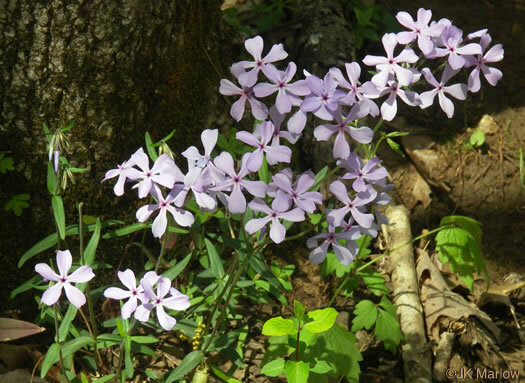 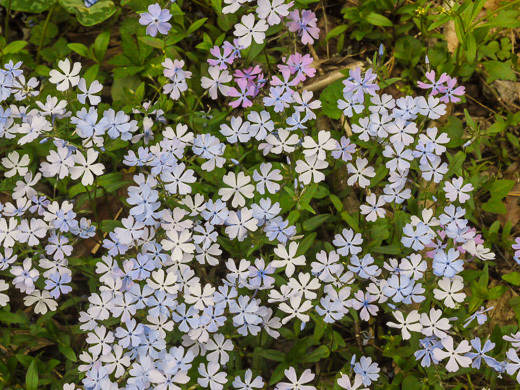 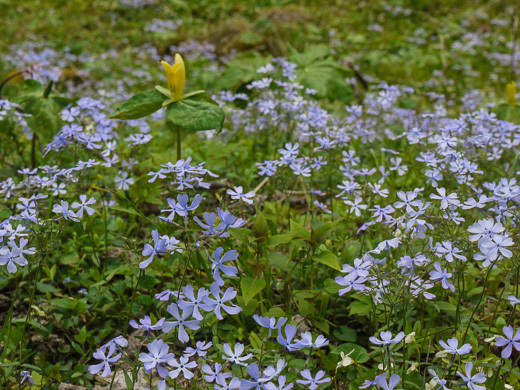 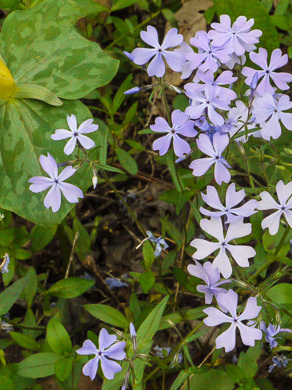 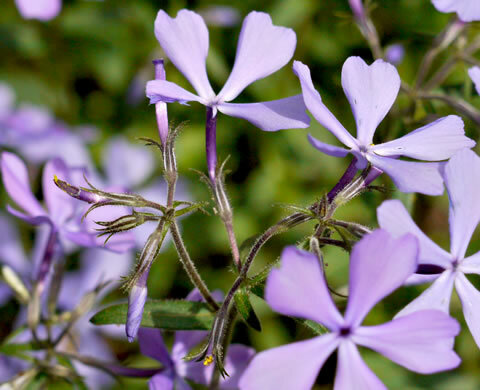 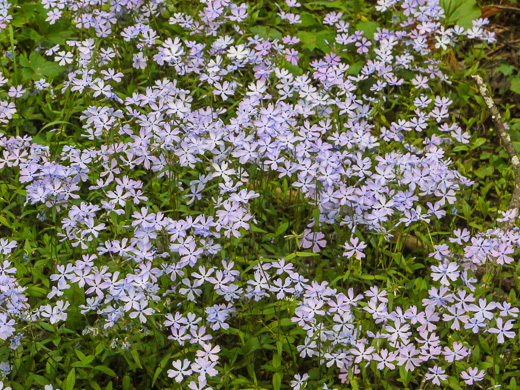 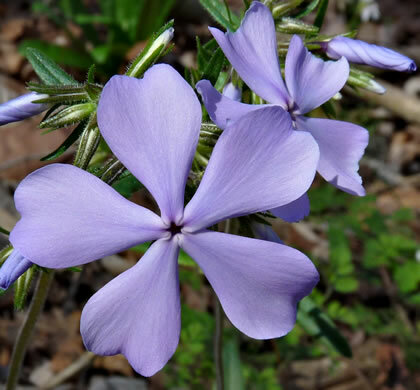 Flowers are light blue-violet, not pinkish-purplish like other Phlox species, per Wildflowers of the Southern Mountains.